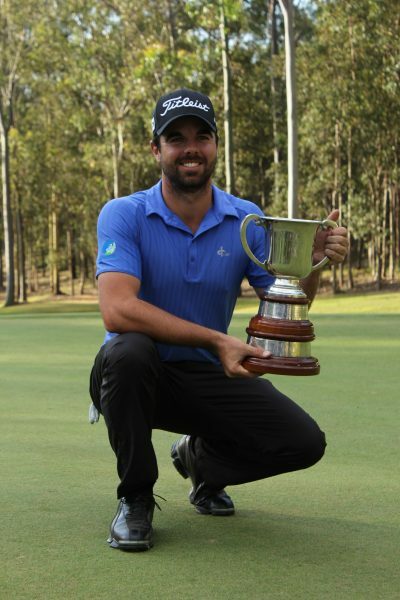 South Australian Nick Cullen has claimed the Isuzu Queensland Open at Brookwater Golf and Country Club. Firing a 3-under 69 in the final round, Nick Cullen claimed victory with a tournament total of 9-under 279. “I felt really good, I had been playing well and my swing feels good. I just hung in there, went through my routine shot by shot and tried to stay in the moment – it worked out well,” said Cullen. Cullen started the day with a one shot lead thanks to his course record round of 65 on Saturday. Opening with a birdie Cullen extended his lead over the field with just two blemishes on his score card. The Isuzu Queensland Open is the first victory on the PGA Tour of Australasia for the 29-year-old South Australian. “I am feeling great, it’s been a long time between wins so to finally have another one feels awesome,” said Cullen, who won the 2012 Indonesia Open. Unable to catch Cullen was three time European Tour winner Peter O’Malley who finished five shots back at 4-under the card. “I just made a few too many mistakes on the back nine; I made all my birdies on the front nine this week but it was great to be in contention and back playing golf,” said O’Malley. After a 4-under 68 in the final round Victorian PGA Champion David McKenzie finished outright third on 2-under 286. The only other player under par for the Isuzu Queensland Open was New Zealand Open champion Jake Higginbottom who finished outright fourth at 1-under 287. A further shot back at even par and tied fifth were Victorian Scott Laycock, West Australian Jason Scrivener and New Zealander Ryan Fox. Finishing the Isuzu Queensland Open as the leading amateur was 15 year old Victorian Ryan Ruffels with a tournament total of 5-over 293. For all final round scores please click here. The PGA Tour of Australasia will now take a three week break before travelling across the Pacific to New Caledonia for the South Pacific Golf Open Championship to be played from 18 – 21 September 2013. 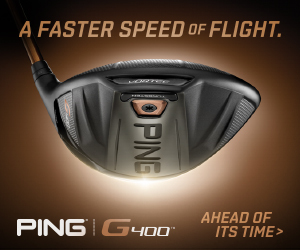 For the full PGA Tour of Australasia schedule please click here.